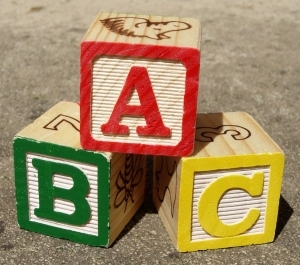 Home → Parenting → Do You Know Your ABC’s? One thing about emergencies: You never know when they are going to occur. And another thing: There are no promises you will be with your child when they do. Does your child know what to do in case of an emergency? Since you never know when an emergency may arise, we should be diligent in training our children in ways to respond in various emergencies, especially since lives may be at stake. It can be difficult for anyone to remember proper procedures in the midst of an emergency. For this reason, it can be helpful to teach children to memorize short phrases or acronyms to prepare them for such events. For example, the three simple words stop, drop, and roll is a phrase used to teach children fire safety. As a child gets older, he can be taught the ABC’s of CPR to equip him for a medical emergency needing cardiopulmonary resuscitation. In learning the proper techniques in opening a person’s Airway, Breathing, and chest compressions to provide artificial Circulation your young person could help save the life of a grandparent, neighbor, stranger, or friend. In the same way that a physical emergency could arise with those in our environment, Christian parents and children should be mindful that there may people around them each day who are spiritually dead and in need of the life saving truth of Jesus Christ. Just as there are ABC’s in CPR, there are also helpful ABC’s to aid in learning the lifesaving techniques of sharing the gospel. Knowing that lives are at stake, Jesus calls believers and equips them to share the good news of His gospel (Matthew 28:18-20). Parents have an opportunity to be part of that equipping process that is “as simple as ABC”. In what ways are you equipping your child to be prepared in the case of an emergency? What are the methods you are using to train your children to help save lives?